In a move which could result in its direct confrontation with Chief Justice T S Thakur, the BCCI not only filed a review petition before the Supreme Court against its July 18 judgment directing the board to implement the Lodha Committee report which has recommended sweeping reforms in the structure, functioning and membership to the cricketing body but has also sought the recusal of the CJI Thakur from its hearing. The review petition filed following a legal advice from ex-Supreme Court judge Justice Markandey Katju whom it had appointed as an adviser on August two wanted a five-judge Constitution Bench to hear the plea. It does not want CJI Thakur on the bench suspecting he had a prejudiced approach to the whole issue. Katju had said in its interim report that verdict “smacked of judicial overreach” and was thus “unconstitutional”. It is also important to note that a day after submitting the report, Justice Katju had launched an unprecedented facebook attack on the Chief Justice who headed the bench that gave the verdict. 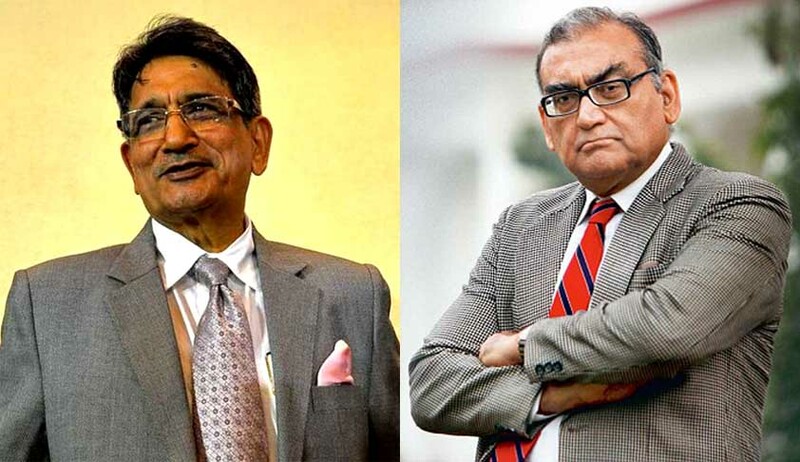 Katju, who has been appointed by the BCCI to advice on implementation of the Justice Lodha committee recommendations, had stated that Justice Thakur should not hear the cricketing body’s review petition against the judgment since the CJI was bound to dismiss it. “By his gross judicial misconduct and his evidently closed mind, it is obvious that Justice Thakur has disqualified himself from hearing the review petition of BCCI. By ignoring binding precedents (many of which are mentioned in my report stating that judges cannot legislate), he has shown utter lack of judicial discipline and the self restraint expected of a judge of a superior court,” Katju said. Referring to a senior lawyer who he claimed had argued in the matter before a bench comprising the CJI and Justice FMI Kalifulla, Katju claimed that Justice Thakur had ignored several precedents set by the larger benches in deciding the BCCI case. “…evidently Justice Thakur believes that since he is the CJI he is above the law, and need not follow it, being the monarch of all he surveys. He forgets the saying ‘Be you howsoever high, the law is above you’…Does Justice Thakur imagine that being the CJI he need not follow the Constitution of India and the law?” read the blog. Meanwhile reacting to Katju’s report, Justice Lodha is already on the record saying that the court’s verdict was the “final word” in the dispute. “What is the legal validity [of Justice Katju’s report]? The only way is for the BCCI to approach the Supreme Court. I have told [BCCI secretary] Mr. [Ajay] Shirke that we are doing what is mandated in the Supreme Court judgment of July 18,” Justice Lodha had told The Hindu. Katju was appointed as the head of a four-member legal panel to help BCCI understand the implications of sweeping reforms suggested by the Justice Lodha Committee in its structure and functioning which on July 18 was made mandatory by the apex court. Apart from Katju, another legal luminary in the panel will be Abhinav Mukherjee. Justice Katju has been a judge in the Supreme Court from 2006 to 2011 apart from being the chairman of Press Council of India. He was also a former chief justice of Delhi High Court, Madras High Court and acting chief justice of Allahabad High Court.